Catherine Gurney, of the United Kingdom, introduced the Christian Police Association in the United States in 1891. As a result several CPA fellowship groups were established, the first being in Washington DC. This original introduction and initial gatherings of the CPA, that continued to be documented for a number of years, serves as the primary historical foundation upon which all Christian Police Fellowship groups have followed and exist today. Catherine Gurney was raised in South London. She was the youngest daughter of Joseph Gurney, a member of the firm of shorthand writers who served the houses of parliament and central criminal court. Catherine also developed excellent secretarial skills and used her abilities in Christian service that included organizing and leading Bible studies. Catherine quickly became interested in police officers. Their dedicated around the clock service included providing for her safety during walks home from meetings in the late evenings. On one such occasion she engaged in a conversation with a police officer, the officer stated to her, What, do you think a police officer has a soul? Following the ensuing conversation Catherine purposed to bring before officer’s the high ideal of life and service made possible through the redeeming grace of the Lord Jesus Christ. It was in the West London suburb of Notting Hill in 1883 that, after much prayer, the CPA had its beginning. Its founder has not been forgotten as the vision continues to be realized in a wide variety of Christian police fellowships today. Records indicate that initially Catherine offered meetings in her home. Then rented and utilized a nearby office space. Eventually a nearby residence was purchased and became the first police institute. A concept still realized today in various federations and fraternal orders. In Catherine’s own words, At the first meeting held there were six persons present, at a meeting held soon afterwards there were sixty persons present. Catherine’s vision remained for those in police services worldwide. Through continued travel and correspondence additional CPA fellowships were established and recognized in several locations, including the United States, making its purpose truly an international presence. 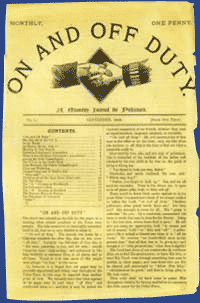 Written records in the “On and Off Duty” magazine, the official publication of the CPA United Kingdom, indicate that in October of 1891 Catherine Gurney arrived in the United States as a delegate to the International Convention of Christians at Work, with meetings held in Washington DC and Boston. 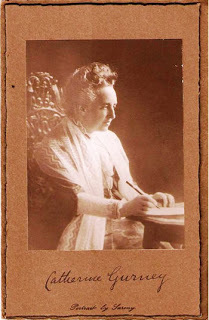 Reports also record that while here, until May of 1892, Catherine had the opportunity to address several police contacts in the eastern United States and Canada regarding the CPA. The magazine notes, “She secured the immediate and hearty approval of the police authorities”. As a result CPA fellowship groups were started in several of those locations. Those locations included, Boston Massachusetts, Hartford, New Haven and Bridgeport Connecticut, New York, Rochester and Buffalo New York, Philadelphia Pennsylvania, Baltimore Maryland, Chicago Illinois, Detroit Michigan as well as Washington DC. Specifically noting The very first formation of the CPA in the United States was in Washington DC. Also noted is that Catherine traveled to Toronto Canada where a CPA fellowship group was also established. A tribute from John C. Collins to Catherine Gurney reads, “We confidently believe that it (CPA) is the beginning of a large movement of Christian work amongst the police force in the growing cities of our republic”. CPA fellowship groups reported meeting in boarding houses, gathering rooms, meeting rooms, reading rooms and officer’s homes with an emphasis on Bible reading and prayer, the basics of all Christian Police Fellowships today. The On and Off Duty magazine contains this statement, with many availing themselves of this opportunity. At one location it is reported that, weekly half hours were held before the time of roll call. They are reported to be much appreciated by the police officers who attend them. In at least one of her addresses to the various police groups Catherine offered these words regarding the CPA, “About ten years ago I first realized how much policemen were doing for humanity and how little they were appreciated. We expect them to guard our homes and business places, and to protect us in a wonderfully perfect manner. They endure the storms and blasts of winter and are exposed to the heat of summer. Often they endanger their lives and more often they risk their health. If they ever make a mistake, a great deal is said against them. I knew something of the police force in the District in which I resided. I thought the first thing I could do was pray, which I did, and soon after talked on the subject with several friends, and they prayed. We began to hold meetings which were attended by policemen and their friends and others which were interested. I am no missionary, only a traveler interested in the welfare of policemen, and have come to tell you of the International Christian Police Association”. In 1898 the president of the New York CPA association stated, “It had always seemed wonderful that the Lord thought so much of the policemen of America as to send Miss Gurney all the way across the water. Yes, God is interested in police officers. He it was who awakened in Miss Gurney’s heart the desire that He should bless them and Lo! What hath God wrought from that little seed”. In 1900 the “On and Off Duty” publication notes these comments by D.L. Moody. “I am sure we all feel very grateful to the police for the care they have taken of our bodies. Do we remember that the police have souls, and are we doing anything for them”? It is then noted, that in his short sharp way said, “Let us pray, and prayed earnestly for the police”. Written documentation to the United Kingdom CPA in 1913 records, The work of the Association has been conducted along four principle lines. Devotional, Bible study, social and special lectures Specifically noted are “object sermons” and “blackboard lessons”. Also mentioned are special times of fellowship for wives. Besides regular meetings it is also reported, The Association observes the regular week of prayer holding annually a midsummer week of prayer. Through the year 1914 the “On and Off Duty” magazine includes these statements from the ongoing reported work of the CPA in the United States. Our society has for its chief aim the spiritual welfare of our policemen. And, Let us pray for each other as we never prayed before. Far more than anything else we are banded together with God to resist the devil without and within. Also, To lift up Jesus Christ as the Saviour from the penalty and power of sin and to build up and strengthen the Christian character. As well as, Numbers who came merely for rest and enjoyment have gone away praising God for the atmosphere of peace and love through which they were gently led to the feet of Jesus. It should be noted that these early years of implementation of the CPA were more than likely affected by at least two significant events. In 1913 many women significantly joined the suffragist movement that eventually led to obtaining the unanimous right to vote in 1920. And, like Miss Gurney, many had been instrumental in actively supporting the efforts of the CPA. However, the movement, that included large public protests, divided many men and women, especially those in public service. By 1918 the United States entered into WWI. Hundreds of thousands of men joined the military forces affecting police services across the nation. A third significant factor, not limited to the CPA but, affecting Christianity as a whole, was the Scopes Trial in 1925. The Scopes Trial, referred to as the trial of the century, was designed as a widely publicized venue to argue evolution over creation. The desired outcome was for an appeal in order to force the Supreme Court to rule in favor of teaching evolution over creation in public institutions. The whole goal was to clearly promote evolutionary thinking and discredit Christianity. Although ultimately unsuccessful, the result drove much of the church and the message of the gospel into a separation of silence regarding Christianity towards society. Also noteworthy is that during the depression and unemployment realized in the 1920’s and 1930’s, public protests are continually lodged against the police over lack of training. Accusations of corruption are a regularly voiced complaint. As a whole, police services continue to experience the pressure and influence of outside factors such as economics and politics as well as social and legal influences that include segregation and prohibition. Police also felt the pressure of inside opinions and beliefs over lack of education, skills and pay. These disruptions and loss of respect and popularity of police by the very public they serve were no doubt contributing factors in the failed steady growth of the CPA in the United States. By the 1940’s, with professionalism of police still under attack, the US Supreme Court ruled on the Wall of Separation in regards to the roll of church and state. Then in 1960 the Supreme Court ruled banning prayer in public schools. And the assault against freedom of faith continues today. However, as history has revealed these potential barriers, The CPA should propel us all to a sobering recognition of the roll we provide in society. Our mandate should be to re- evaluate not only our commitment to service but, to look ultimately to the single source of grace, hope and prayer so greatly needed in the law enforcement and corrections careers today. The next significant movement towards an emphasis on Christianity and Policing in the United States occurred in 1971. Los Angeles Police officers, Karl Trebor and Ralph Evans established the “Fellowship of Christian Police Officers”. With permission and support from the then Assistant Chief of Police, Robert Vernon, the core group met weekly for Bible study in a conference room at Parker Center. In 1972 the name was changed to “Fellowship of Christian Peace Officers” (FCPO) to broaden the focus, encompass all officers and recognize all criminal justice system titles and careers. The FCPO was officially incorporated in 1974. 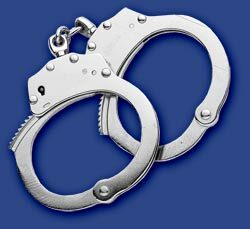 Today the CPA continues to provide a means of connection and a working the netof Christian fellowship for all persons serving in, or retired from, police and prison careers and include all those with careers in the Criminal Justice System. Again, since 1883 the CPA has continued to encourage prayer, Bible study and fellowship. In 2008 the CPA recognized 125 years of international service and remains dedicated to all those who are given authority over others and charged with ensuring we live peaceful and quiet lives. The CPA was re established in the United States in 2009, after much prayer, in the same spirit and intent of God’s original purpose captured with passion and envisioned by Ms. Gurney. Read more about Catherine Guerney here.